This past year has been full of ups and downs for me (fortunately more ups, I think). I’m still recovering from the concussion I got in 2014, and although I’m doing much better than I was at the start of the year, when I couldn’t even use the computer, it still impacts my life and my writing more than I’d like (thank goodness for migraine meds). Writing-wise, it’s been a brilliant year. I got an agent, started working almost-full-time as a writer, and got a book contract (squee!). I also joined two amazing writer…I was going to say support groups, but that sounds too institutional…support networks, maybe? Which have helped me through the ups and down of this year. I went to two conferences, a SCBWI one and a CANSCAIP one, and got to meet lots of old and new writer friends in person. I’m also proud of how this blog has grown this year. I’ve been posting regularly since February, hosted my first Logline Critique round (thanks to all who participated and made that such a roaring success! ), and am already working on some fun and informative new posts for next year. What about you? 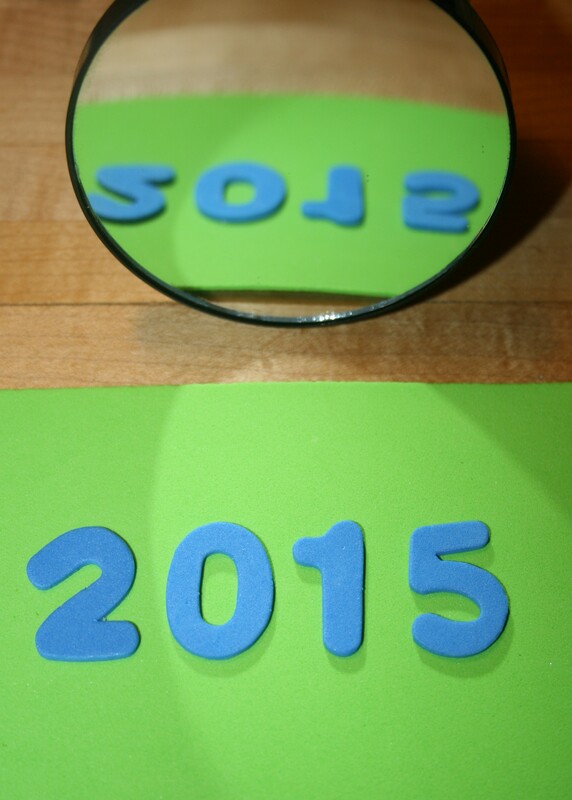 What did your 2015 look like? Join the discussion in the comments. Merry Christmas to those who celebrate! Hope you all have a wonderful holiday! As my gift to you, I’ve created a new page here on the website, called Cakey Goodness, with bonus recipes, designs, and misadventure in baking stories (because who doesn’t like seeing others mess up?). It’s a bit small for now, but I promise to keep adding to it as I come up with more Cakey Goodness to share. I’ll post next week with a look back on how 2015 went for me, and in the new year telling more stories, advice, and adventures in writing for children. Check it out! I have a cover! This is likely my last real post of this year (yay, holidays!) 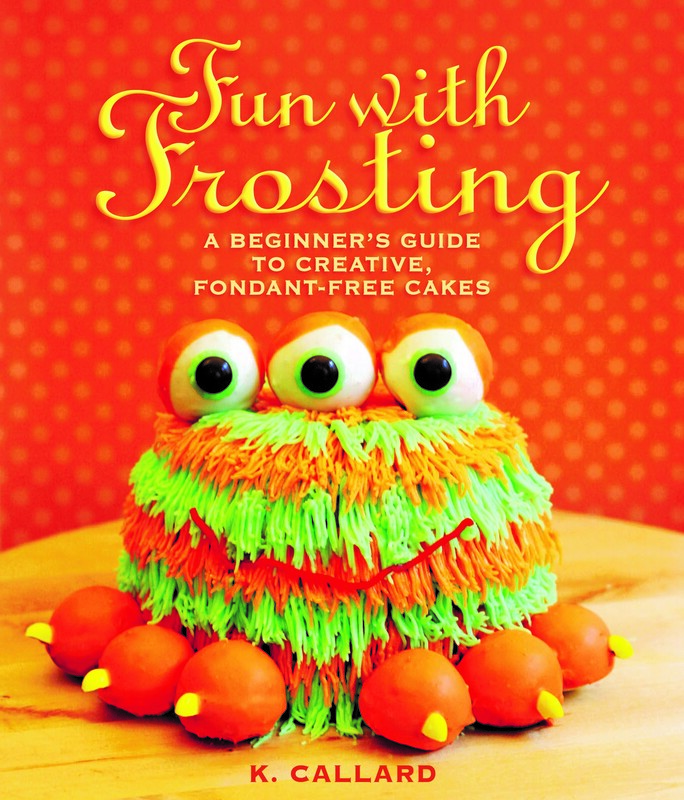 and, in honour of that and finally being able to show off my shiny new cover, I thought I’d share the story of how FUN WITH FROSTING (aka my cake book) came to be. Yep, if you’re an aspiring author and don’t have a Twitter account, I hope this post inspires you to take the plunge, because if I didn’t have a Twitter account, I wouldn’t have a book contract right now. I also hope this post inspires you to go out and follow as many writing industry people as possible, since I only saw this tweet because it was retweeted by an agent I follow. @nfrail17 I’m a writer who does creative cake decorating. I blog more about writing than cake, though. @k_callard are you interested enough in both to want to write a how-to on cake decorating? Now, at this point I still wasn’t too excited. Since she was looking for food bloggers, I got it in my head she was looking for a series of blog articles – which I felt more than capable of writing. I mean, before I had my boys, I was preparing to get certified as a cake decorating instructor (sadly the whole twin-pregnancy-and-babies-thing left me with no time or energy for teaching). So I asked for details. “You will write the book,” she said. That’s when I got excited. Because she was right. I *could* write the book. A few days later, Nicole emailed me the details. They were looking for a book, with at least 40 original designs, to be finished by November 1st. If I was interested, I needed to send in a proposal, with photos of my cakes – within the next two weeks. I emailed Bri to check on her opinion, and while I waited, I started on the proposal and made a list of all my designs. By the time Bri answered to give me the okay, I already had half the proposal written (told you I was excited). 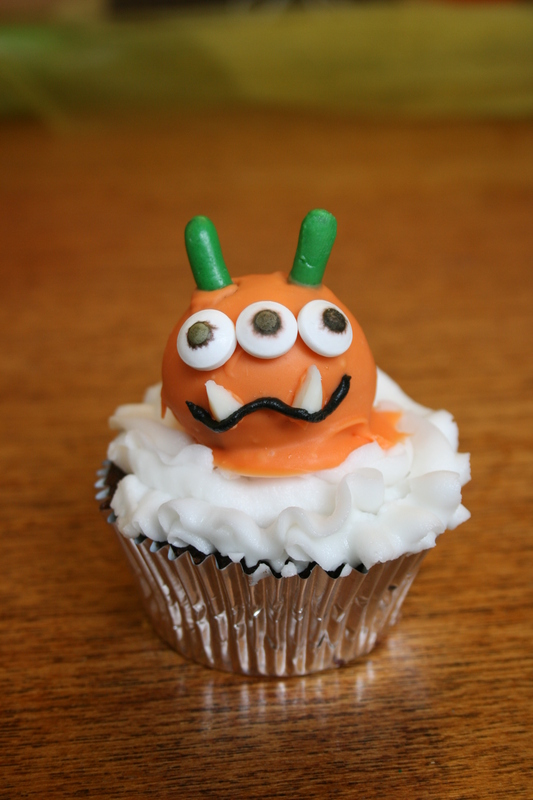 I baked up a batch of my signature mini monsters, photographed them, and wrote up the method. Once it was done I sent it Bri, who passed it on to Nicole, and, after a few weeks of waiting, they offered me the contract! Squee! And that’s the story of how I came to write the cake book. 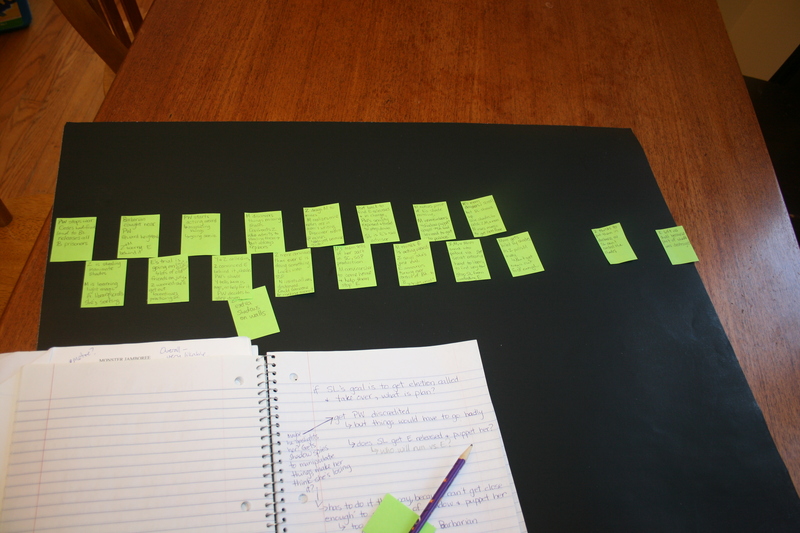 An in-progress shot of my sticky note timeline. When I first started writing, I’d just take an idea and run, letting the characters and whatever random thoughts that came to mind dictate the path of the story. The result? Stories that meandered, threads that got lost, and the occasional instance of writing myself into a corner. So, when Bri asked me to outline a sequel to SHADOWCATCHERS, I knew I was going to have to plot it out properly. I started by listing a whole bunch of story ideas in a notebook (I don’t know about you, but when I’m brainstorming, the old-fashioned way works best for me – there’s something about staring at a blank screen that just paralyzes my brain). Basically I spent a month just writing down any idea that came to mind – whether or not it made sense, or would require major changes to the original story – letting my mind wander and entertain any and all possibilities of where to send the story next. At the end of the month I had vague outline-y ideas for stories involving three separate antagonists. Since I couldn’t very well send the story in three separate directions, my next step was to create a plot outline for my favorite. I started with a sheet of Bristol board and a pad of sticky notes. I wrote a separate sticky note for each scene/plot element, and stuck them to the board in a line, creating a rough timeline for the story. The sticky note part is essential: I can’t tell you how many times I rearranged events, added (and cut) scenes. As I worked, I referred back to my notes, and tried to work in as any elements from my brainstorming as possible. Because I knew I had a choice to make, I made sure to plot out the final climactic scene between the protagonists and antagonist. (This one involved a long walk to clear my head and ponder possibilities, before figuring out the final battle’s path). Now all I have to do is write the actual manuscript (*adds it to ever-growing to-do list*). What about you? Do you have a favorite plotting method or tool? Or are you a Pantser? Tell me about it in the comments. As you know, if you follow this blog, my schedule didn’t let me do NaNoWriMo this year. But, since I have participated (and won) twice in previous years, I thought I’d offer my advice on what your next steps should be. Celebrate – go out for dinner, bake a cake, throw a party – do something to congratulate yourself. You just wrote 50,000 words (or more) of a novel and that is amazing! Catch up on the things you put aside in November – if you’re like me, winning probably meant making some sacrifices. Now’s the time to wash those baskets of laundry, do a decent grocery shop, and/or clean the house. Do some holiday shopping – hey, did you know it’s December? The winter holidays are suddenly so much closer than they were when you started writing, so you might want to get on that. 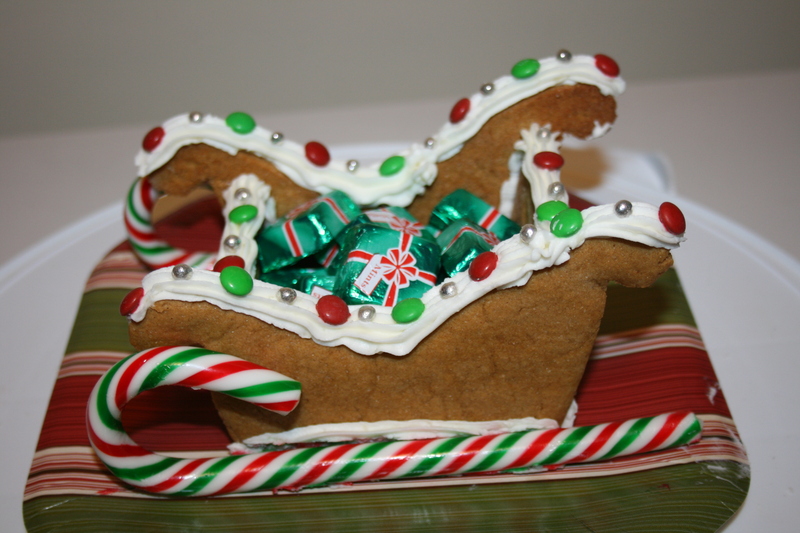 Do some holiday baking – did I mention it’s December, now? 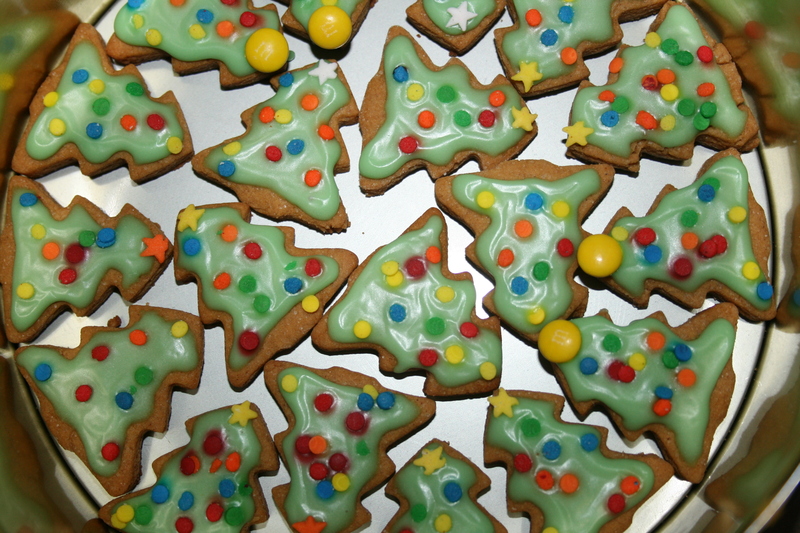 Tis the season for shortbreads, and gingerbreads, and cranberry-lemon squares. Mmmmm…..
Read up on revising – there are tons of great books and websites giving advise on how to revise your writing. Find them, and do your homework. Did you notice what isn’t on the list? Working on your novel! That’s right, I’m telling you to give your book a break. Taking time away from your work will let you see it with fresh eyes. It’s easy to fall in love with your own writing. You need to put some distance between yourself and work, so you can better see which parts just aren’t working. Take a break, and come back in January, with fresh eyes and new determination to make this novel the best it can be. What about you? How do you tackle revisions? Share your tips in the comments. I know what you’re thinking. But K, aren’t you a fiction writer? The answer is yes. I love writing fiction, and Bri and I are working on a few different projects that we’re hoping will find homes soon. But, (as anyone who reads this blog knows) I also love baking and cake decorating, so when an opportunity came to combine all my passions into one project, I couldn’t say no. So now you all know what my top secret project is, and why I’ve been so busy these past few months. Yay!